Shame it didn't come out yesterday, can't enjoy the vodka I've had waiting for this news tonight, busy day tomorrow. MEDIA-GATE... "they were fed stuff by the Hillary campaign"
The media kept coming up with Dumb & unsupported comments like: "I am wondering what Russia has on Trump." Was never any genuine reason to think that. LEVIN UNLOADS on "shifty Schiff"
TYT must be having a proper funny breakdown. Ill find their reaction when i need a good laugh. Doubt it will be as good as when hillary lost. TIME for a Big Apology ! absense of proof is not proof of absense. dont go getting all crazy on me in the hour of glory. The real villains are coming into the cross hairs... There are Many. But one main villian. ...each time Trump said so, some of us in the media lampooned him. We treated any words he spoke in his own defense as if they were automatically to be disbelieved because he had uttered them. Some even declared his words to be “lies,” although they had no evidence to back up their claims. The chase undermined a duly elected president and cost taxpayers more than $30 million for an investigation that proved the accusations were flat-out false. Let’s remember, too, that her campaign actually did work with Russians, through FusionGPS and British agent Christopher Steele, to create a fictional scenario about Trump being compromised. Which brings us to today’s Democrats. They bought into Clinton’s Big Lie and built a house of cards on smoke and mirrors. The collapse is total. There it is. I am calling for a thorough investigation into Hillary. her lies, and those helped promote them. If done dilligently. I reckon she will be jailed, or even hung for treason. THe Most insane and Comical Dems need to be "dealt with"
but thats not going to help your current cause. is it. The truth is simple. if somewhat painful for querecanos. Excuse me, you still haven't remotely hinted at what you think any of this has to do with me. And I object outright to the insinuation that Hillary is innocent because Mueller's underling said she didn't do anything wrong. Which is exactly what you are saying (and seems to be the damage control they are going with) when they say Trump is "proven innocent" because Mueller said there was no proof Trump did anything wrong. Have to concede I giggle inside everytime I hear this. Both Rosenstein and Mueller have been lead investigators for republican witch hunts for decades, to hear republican media call them out and republicans buy into it is almost as hillarious as if CNN or ABC called out Prince Charles for his pedophilia, beastiality and murdered orphans. You have two years of anti-Trump posts here, with many Lies & exaggerations. And your posts on this very thread are off topic distractions. WARNING: IF YOU START DEFENDING HILLARY with lies & exaggerations, you will be banned! 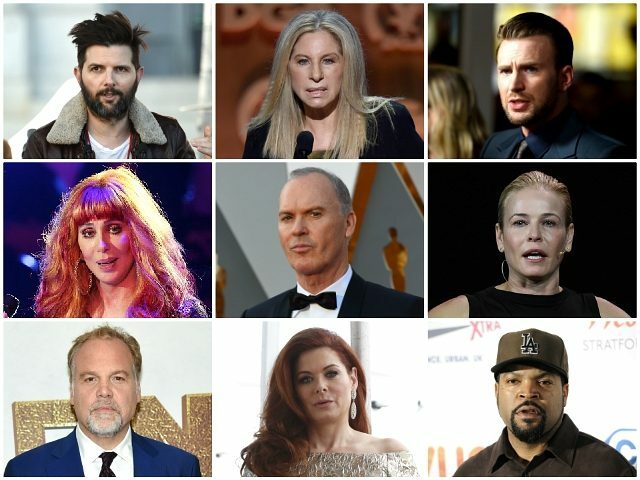 Many Hollywood stars made these accusations following Trump’s press conference with Russian President Vladimir Putin in Helsinki, Finland. Others accused Trump of treason for no apparent reason at all. Yet, according to the Attorney General William Barr’s letter to Congress Sunday, special counsel Robert Mueller found no evidence whatsoever of the Trump campaign colluding with Russia during the 2016 election. No, two years of PRO Trump - anti American posts. For two years, CNN, MSNBC and the rest of the Liberal fake news media assaulted their listeners eardrums with the endless and phony narrative that President Trump was guilty of Russian collusion, treason, and about 6 other crimes. Every single one of these fake news outlets didn’t just repeat the same story, their talking heads repeated word for word the exact same script, all in an effort to poison people’s minds that Trump was guilty. As we found out this weekend, none of that was true. Not one bit of it. So what should happen now? The real fruit of the Mueller investigation is that is showed the American people that the mainstream news media in this country cannot be trusted. This was not simply bad reporting or biased journalism, this was an orchestrated attempt to use the freedom of the press to intentionally deceive. 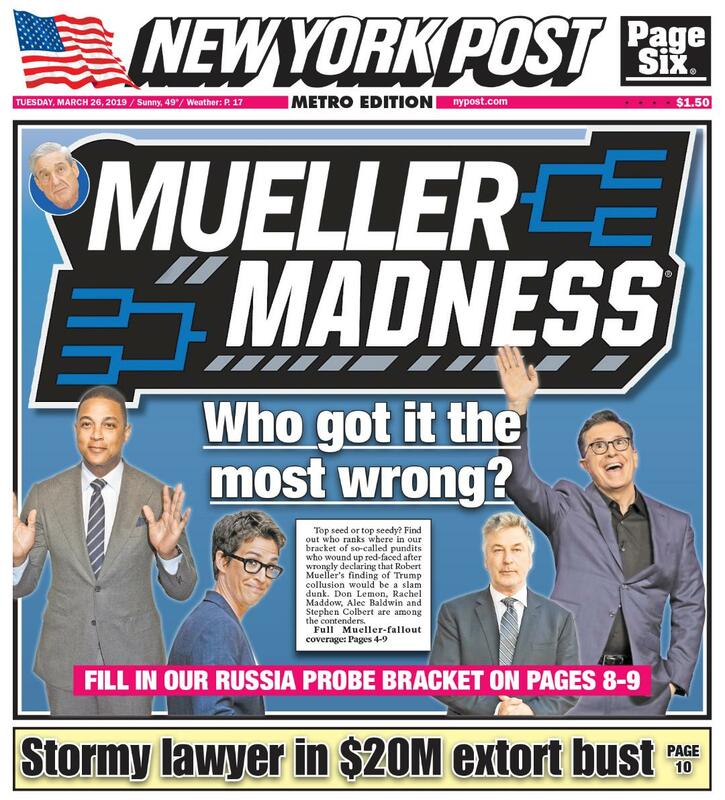 There was collusion, but it was collusion of the Liberal media between themselves to lie and deceive in an attempt to destroy a legitimately elected president of the United States. I call for an immediate investigation into Hillary Clinton’s connection to Russia, Fusion GPS, Comey’s investigation of Hillary Clinton, Loretta Lynch’s secret meeting with Bill Clinton on the tarmac, Hillary’s illegal email server, and just for good measure, a new investigation into the 4 dead Americans in Benghazi. Remember those guys? We sure do. Let the games begin. Rudy should be the special prosecutor. Give him the same mandate as Mueller, but cross out "Trump", and write in "Clinton". He will get to the bottom of their crimes. ‘What did Barack Obama know’? "I am going to get Answers!" I like how they are trying to pretend it wasn't profitable though. Not like this lot were new hires spending money that wouldn't of been added to the querecano debts anyway. ^Do you think he gets them back? President Donald Trump said that it was time to investigate leftist Democrats for driving the Russia hoax and falsely accusing his campaign of conspiring with Russia to win the election in 2016.
giggle time. bit like hammertime.